Meet Oscar the three-legged cat. 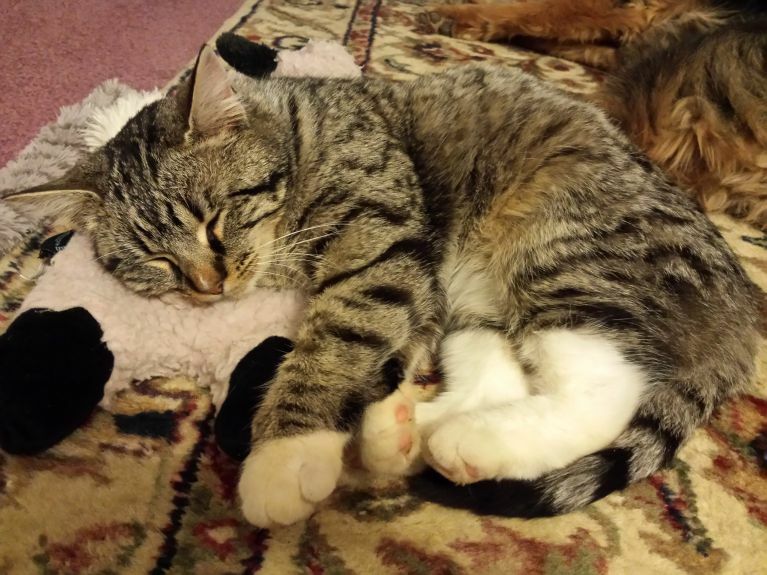 Oscar is a kitty who values his independence and still loves to curl up on the couch with his humans. He is, in his heart, a lover. He loves “big pets” as my husband says and thinks nothing of sleeping upside down sprawled out on your lap for hours. In comparison to the other two kitties, who are most interested in which human is going to feed them next; he just wants to know who is going to love on him. To read about Oscar’s brand new three-legged journey, check out his blog and hop over his first Tripawds Discussion Forums post too. We know you’ll love this sweetie!